EHO 913K - 1972 Dennis - body built by Hampshire FS. Originally Jaguar 4.2 petrol engine, converted to 6.2 Perkins Diesel while still in service. 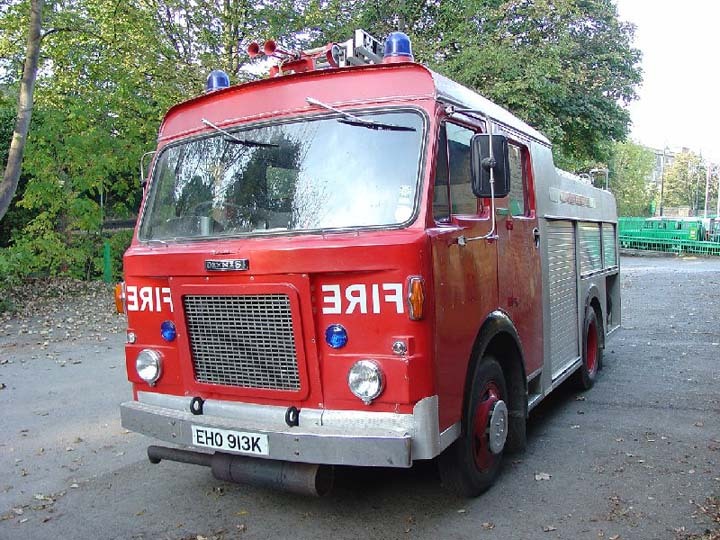 My names Rick Loudon I organise the Fire and rescue show at Eden Camp near Malton in North Yorkshire, would you be interested in bringing this appliance next year? Added by Rick Loudon on 20 November 2007.